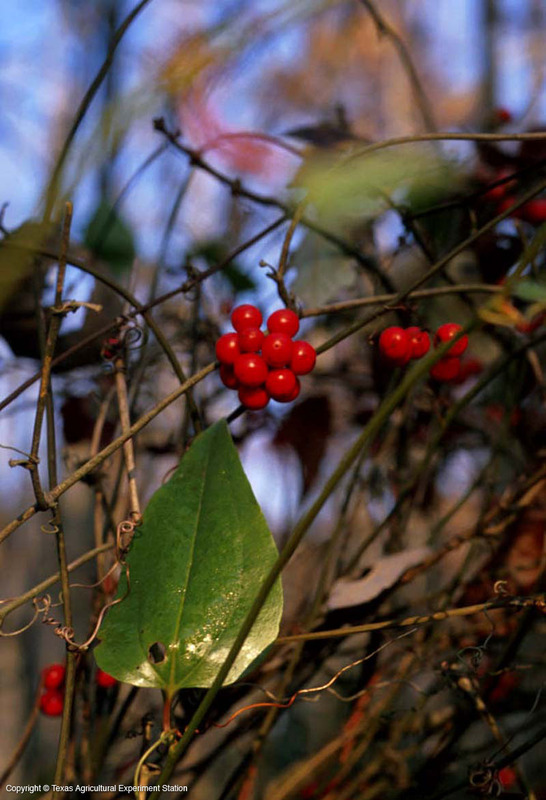 Red-berried smilax rambles over bushes at the edges of sandy, acid swamps and near or in streams in East Texas, east to Florida and north to Maryland and New Jersey. It is a thin woody vine which may be spiny or nearly spineless. Its upper leaf surfaces are lustrous green and it bears red-orange persistent berries during the winter. It has long underground runners, but is not tuberous.